Courtesy of Calli. For more of her wonderful works visit her site, Calli's Creations. 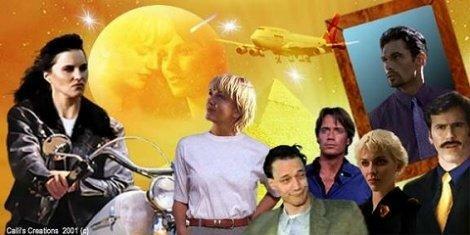 This is where the lines grey as some consider these Xena-Uber fiction and others consider these original fiction. Many of you who have read and enjoyed uber will LOVE these stories which we will for ease of use will call Beyond Uber. We only hope to offer you the means to be informed of more new fiction available for your reading pleasure! So Please, sit back... relax... get comfortable with a little snack and a warm tea and enjoy!!!!! *Note: Many of these stories are unfinished as of this posting. Keep your eyes on What's New for new chapters. Webmasters, if your site contains Original Fiction/Beyond Uber please contact Raven at the address to the right to add your stories if not already listed. Also send any story updates for this section to Raven with a link and posting information. Thank You!!
. . . F e a t u r e d . . .
Want to link to Beyond Uber?
. . . n a v i g a t e b e y o n d u b e r . . .